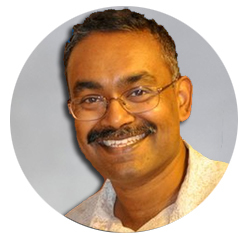 Andrew Royappa has a deep background in computer science which includes experience in academics as well as the “real world” side of business programming and client services. Prior to starting his own technology company, Andrew was the Chairman of the Department of Computer Science at Millsaps College. Andrew received his Ph.D. in Computer Science from Purdue University in 1992. Andrew enjoys technology challenges, from detailed business analysis of a client's technology problem, to occasionally getting his hands “dirty” helping staff programmers with sticky problems. He developed a proprietary Update Wizard content management system in 2001 and was excited to lead our team in developing the next generation Content Management System for the eWebLife.